Drug use among teens is a common problem. It is important to understand that when we talk about universal screening for alcohol and drug use, we are not actually talking about universal drug testing, in which all kids actually have a drug test. Universal drug screening simply helps you figure out who is at risk for drug abuse by asking them but not with an actual blood or urine test. Many pediatricians use the quick and easy two-part CRAFFT Screening Tool from the Center for Adolescent Substance Abuse Research (CeASAR) at Children's Hospital Boston to screen teens for high-risk drug and alcohol use. It starts by asking three questions about whether a teen drinks alcohol, smokes marijuana, or uses anything else to get high. One point is given for each yes response to the CRAFFT questions. Those teens with a total score of two or more are thought to have a positive screen, and according to the AAP, "are at high risk of having a substance use disorder." Even a CRAFFT score of one could indicate a moderate risk of having substance use problems, though, and might indicate the need for intervention. Also, keep in mind that even those teens who deny using any drugs or alcohol should still be asked the CRAFFT 'Car' question. In addition to being able to provide brief advice to encourage teens to stop drinking alcohol or using other drugs, and referring them to treatment when necessary, universal screening also allows pediatricians to provide teens who report no drug or alcohol use with "brief positive feedback about their ability to make healthy choices." Do they have new friends, a drop in grades, or are they getting in trouble a lot more? Many parents quickly look to drug testing when they become worried or think that their kids might be using drugs. It is important to keep in mind that drug testing teens is much more complicated than simply buying a home drug test, getting your teen drug tested at school, or even taking your teen to his pediatrician for a drug test. Also, drug tests can sometimes be hard to interpret, especially when faced with a possible false-positive test, a drug test that is positive because of an over-the-counter medication or food, such as poppy seeds. The AAP does state that drug testing can be done as a diagnostic test for teens in drug abuse treatment. 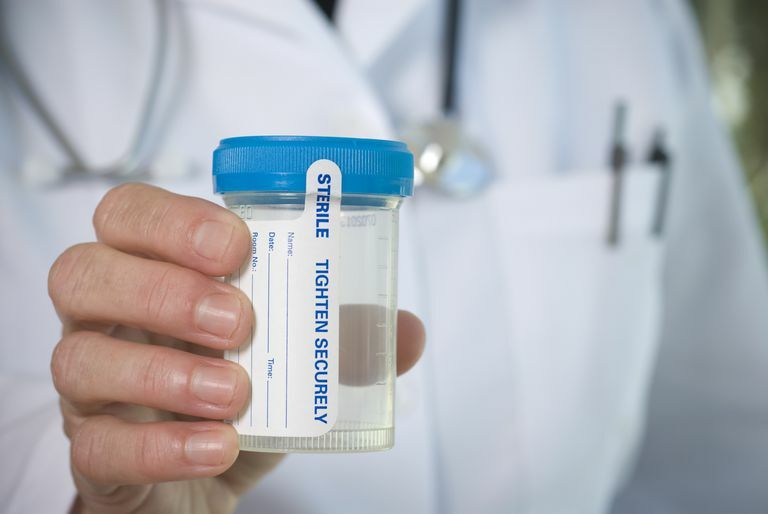 Voluntary drug testing may also be used, according to the AAP, "when it is necessary to determine the cause of dysfunctional behavior and other changes in mental status or suspicious physical behavior." However, instead of a drug test, teens suspected of drug abuse, but who deny drug and alcohol use on drug screening, should likely be referred to a "qualified health care professional for evaluation, counseling, and treatment as needed." Remember, a negative drug test isn't necessarily going to mean that your teen isn't using drugs or alcohol, and a positive drug test will likely prompt a referral anyway. Ethyl alcohol can usually be added to most drug abuse panels, too. Remember to consider the pros and cons before doing a drug test on your teen. American Academy of Pediatrics Policy Statement. Substance Use Screening, Brief Intervention, and Referral to Treatment for Pediatricians. Pediatrics 2011; 128:5 e1330-e1340. American Academy of Pediatrics Policy Statement. Alcohol Use by Youth and Adolescents: A Pediatric Concern. Pediatrics 2010 125: 1078-1087. American Academy of Pediatrics Policy Statement. Testing for Drugs of Abuse in Children and Adolescents: Addendum - Testing in Schools and at Home. Pediatrics Vol. 119 No. 3 March 2007, pp. 627-630. American Academy of Pediatrics Clinical Report. Tobacco, Alcohol, and Other Drugs: The Role of the Pediatrician in Prevention, Identification, and Management of Substance Abuse. Pediatrics 2005 115: 816-821. CDC. Youth Risk Behavior Surveillance - United States, 2009. MMWR. Vol. 59. No. SS-5. June 4, 2010.